Retiring Club President Alistair Morris reported a record year. 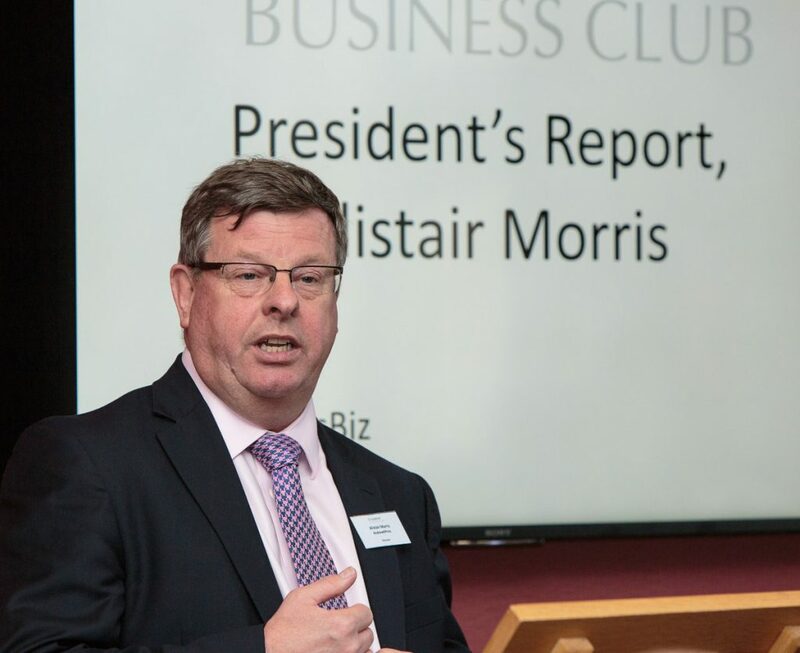 In the Club’s 2018 AGM, outgoing President Alistair Morris reported Club membership was now at a record level of 103 members and still growing. Event attendance levels this season have also set a new record for the Club, with five events still to take place before the season closes on June 27. Speaking about the season, Alistair, said: “The last year has certainly been an exciting and progressive one for St Andrews Business Club. The 13 events to date have attracted dramatically increased attendance and resulted in Club membership breaking through the 100-member milestone for the first time. Alistair also thanked Secretary and Treasurer Ronnie Murphy, who is standing down from the Committee after many years’ service, for his dedicated service over many years and presented him with a gift. The new St Andrews Business Club Committee: (from left): Past President – Alistair Morris; Treasurer – Michael Stephenson; President – Alan S. Morrison; Vice-President – Caroline Rochford; Secretary – Emma-Jane Kerr and Committee Member – Douglas Glen. Graeme Dickson was unable to attend. Committee members – Graeme Dickson, Douglas Glen. We’re still looking for two more Committee members – if you’re a member of the Club, let us know if you’d be interested. See the email sent recently for benefits and responsibilities. 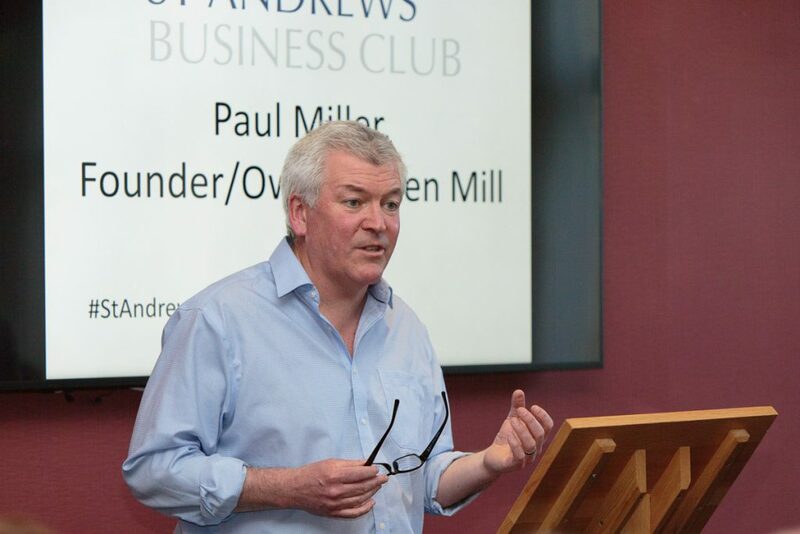 Paul Miller, founder and owner of Eden Mill, was a truly inspiring guest speaker. After the AGM formalities were concluded, the guest speaker, Paul Miller, founder and owner of the Eden Mill beer and spirits brand, gave an inspiring talk about the history of the brand and shared some of lessons learned along the way. NEXT EVENT: The Club’s next event is April 25: Business Breakfast – How to ensure better Sales & Profits, when Peter Waggott, of Vertical Motives, will explain how to crack The Challenge of Sales in the Digital Age.